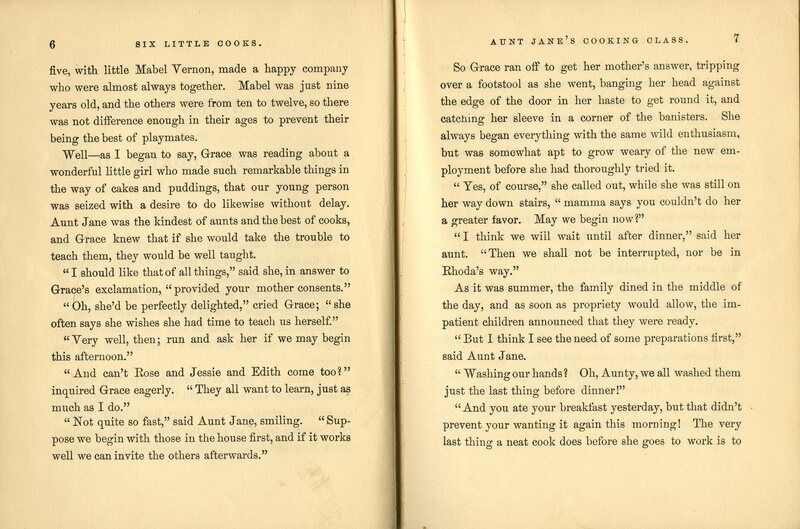 Ann Hertzler Children’s Cookbook and Nutrition Literature Collection – What's Cookin' @ Special Collections?! 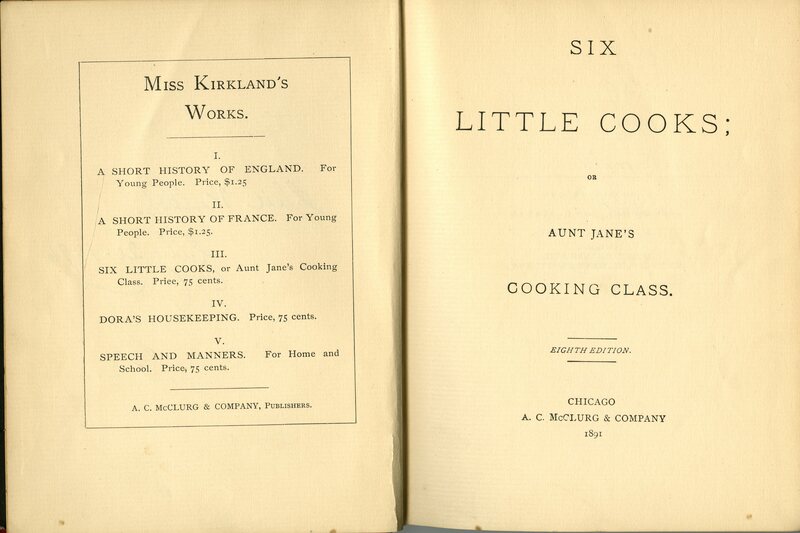 Back in 2012, one of my early posts on a children’s cookbook was about the two copies of The Mary Frances Cook Book or Adventures Among the Kitchen People that we had in our collection. 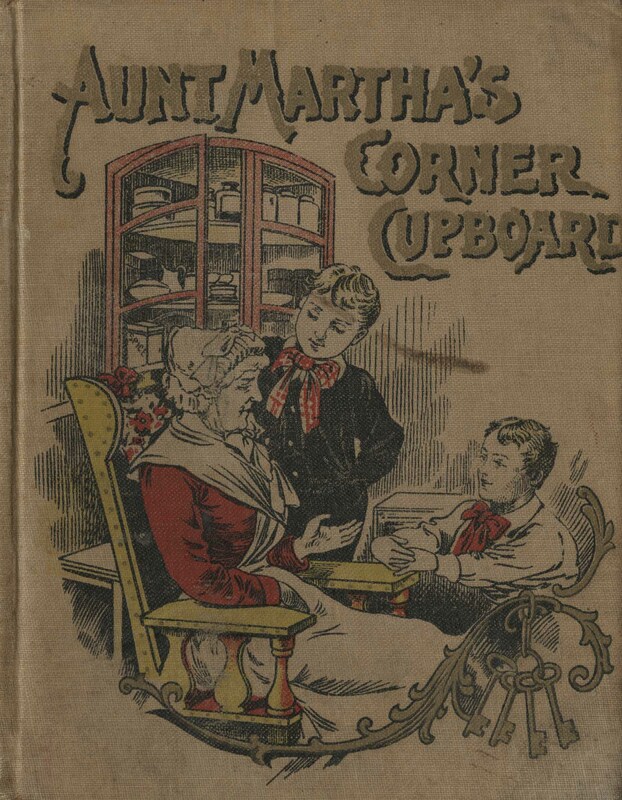 While that post was about the two different covers between editions of the same year, at the time, I didn’t do much research into Mary Frances as a character. A couple of months, completely by chance, I discovered she was the star of not only one book, but seven! Not only that, we had two more on our shelves! First, there’s The Mary Frances Sewing Book; or, Adventures Among the Thimble People (1913). The other title, which I happened to spot on the shelf while I was browsing for something completely different, is The Mary Frances Garden Book: or, Adventures Among the Garden People (1916). Our copy is an original 1916 (as you can see from some of the wear and tear). One additional element of this book is that it includes little garden cut-out pieces and fold out pages in which to place them. Our copy has a number of loose cut-outs tucked in among the pages and even some slits in pages to suggest it saw some use from some little girl or boy. Given the time period, this series appears to have been a multi-volume tutorial for young girls. It covers skills they would have been expected to have as wives, mothers, leaders of a family, and as educators of future children. Their storybook style and fairy tale themes can make them a little deceptive, but the lessons are clearly there. My lesson from this post? I have some more Mary Frances books to track down so we can complete our set! Next week, your archivist & blogger Kira will be teaching an information session in Special Collections. More specifically, it’s for a class focused on mother, child, and infant nutrition and feeding. 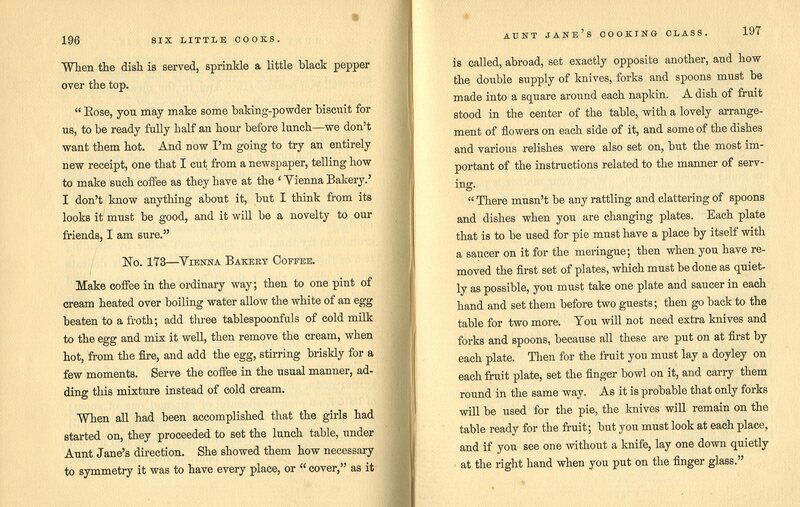 While I know we have more than 400 books in the Ann Hertzler Children’s Cookbook and Nutrition Literature Collection, as well as other materials in the History of Food & Drink Collection at large that address these topics, it’s the first time I’ve gone digging for extensive research or instruction purposes. And I’ve discovered some fascinating items. Some stand out for their obvious content, like the 1917 Baby’s Welfare: Proper Care and Feeding or the 1846 The Young Mother: Or Management of Children in Regard to Health. Others are more “recipe” oriented, like the 1950 The Body Building Dishes for Children Cook Book or this week’s feature, the 1956 Recipes for Toddlers. 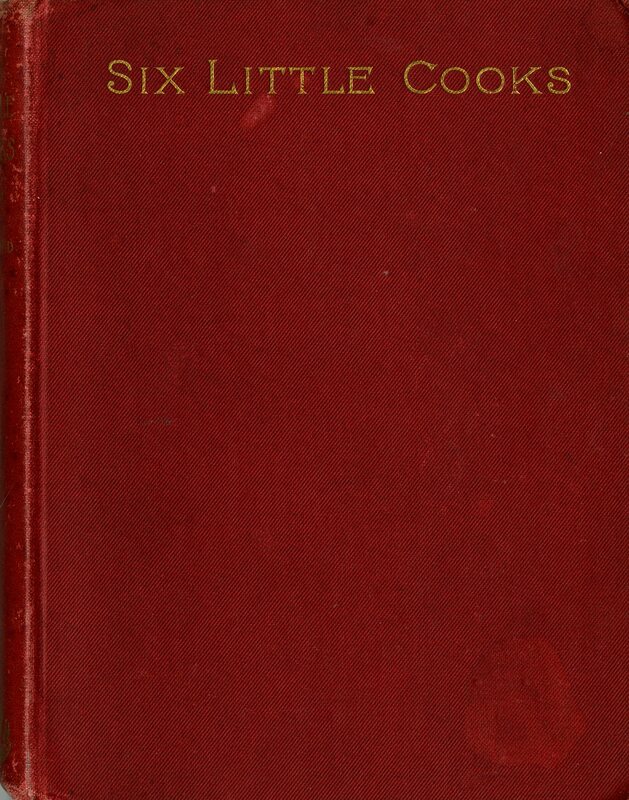 Our revised edition of Recipes for Toddlers was published in 1956, but it first appeared in 1950 (and later in 1959), which puts it square in the era of transition from the 7 group wheel to the 4 group “Basic” square. And our “Meat-Milk Shake,” quite literally, kills two birds with one stone, creating an easy and efficient way to get a toddler to eat protein, dairy, and meat. The malted milk powder, chocolate malt powder, chocolate syrup, or brown sugar may be a bribe in the end, but it’s fair to say that liver and bacon flavor might just need an extra boost. 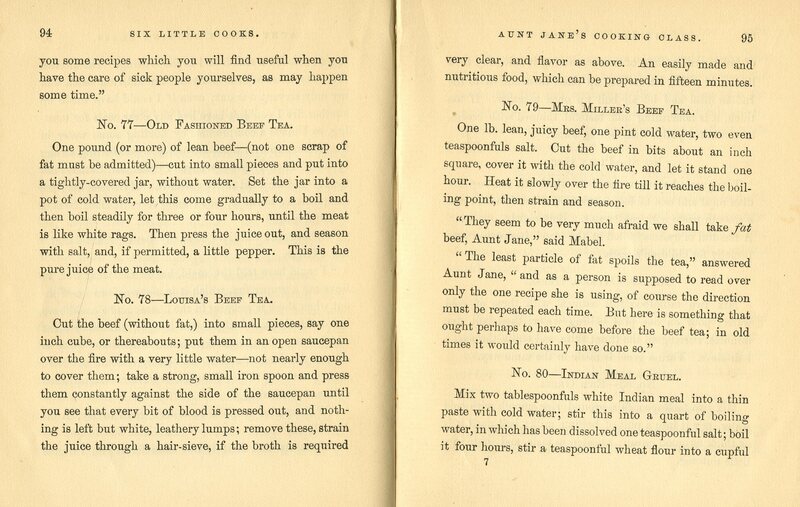 Of course, not all the recipes in this booklet are as unique, either, but there is definitely a continued emphasis on nutrition. Even the desserts are light on sugar, heavy on fruit, and include substitutions like evaporated milk (for fattier cream). One of the important points this publications reminds us of is that, especially when considering a historical item, we need also think about it in context. 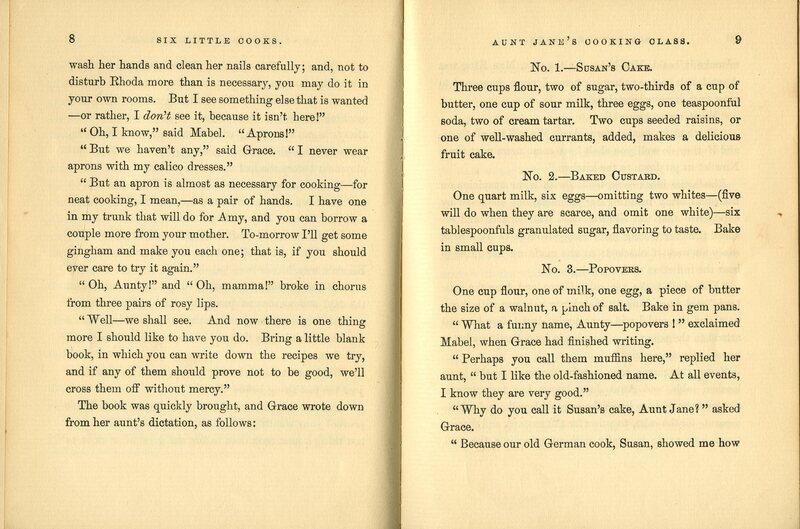 Whether a “Meat-Milk Shake” or a “Jellied Fruit Salad,” Recipes for Toddlers reflects the nutrition hopes and expectations of its time. And it might even teach us a lesson or two with its pages on the significance of mother-toddler meals and starting good habits young. In 1902, Mrs. Henry Parsons (or Fannie Grissom Parsons, if you prefer) launched an experiment. Her idea was to find a way to city children to have the rural experience. Basically, she brought the farm to New York City. 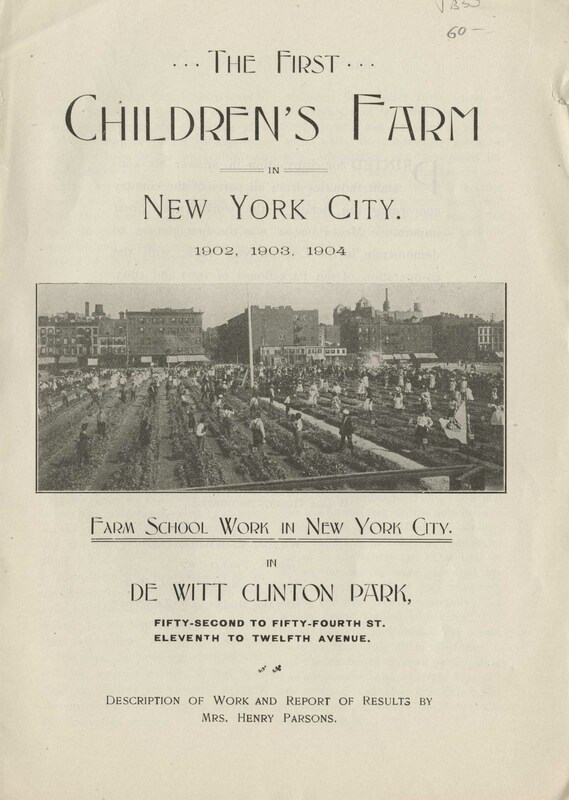 Our feature this week is The First Children’s Farm in New York City, from 1904. This publication is the follow-up for three years worth of work on a project. It taught city children the basics of planting, caring for, and harvesting a garden plot by creating opportunities to work in De Witt Clinton Park. The report details how the project started (by inviting children to participate), covers what children learned, and, to some extent, documents the effect it had on participants and the neighborhood. 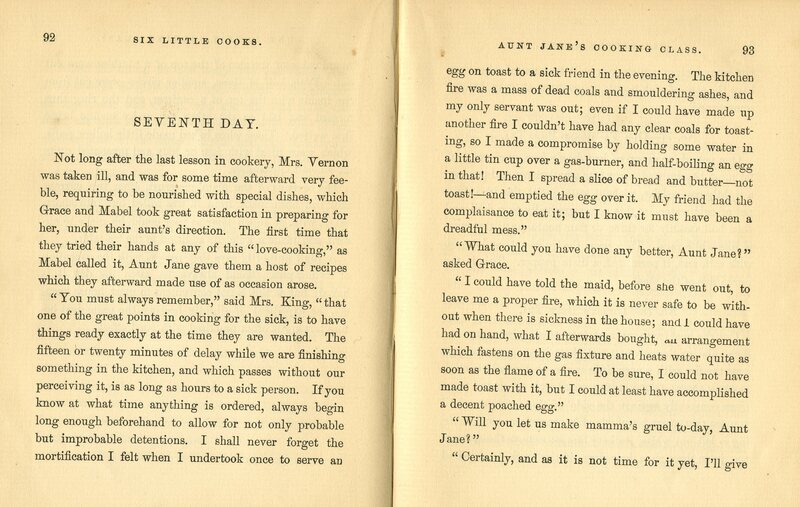 Based on Mrs. Parsons’ report, we can surmise that she had some success in the endeavor. She was even awarded a medal at the Louisiana Purchase Exposition in 1904. 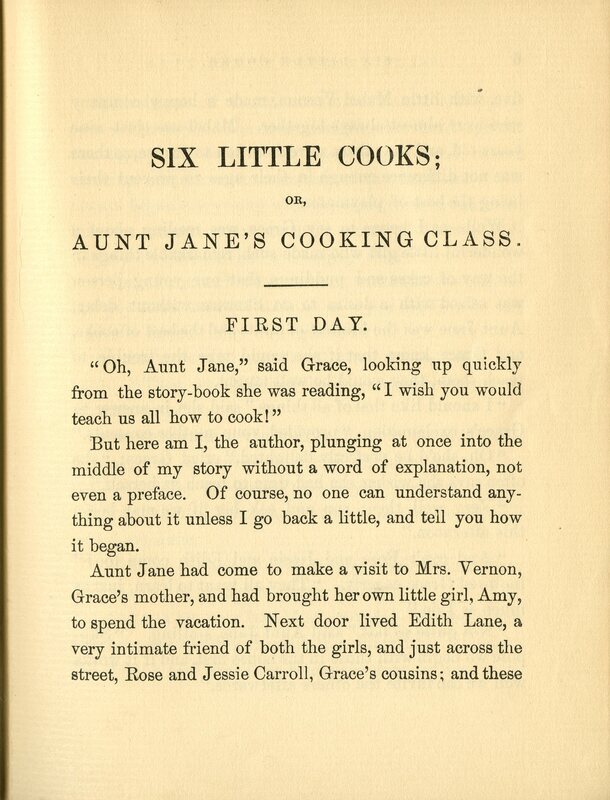 In addition to recounting the how of things, her report includes a section titled, “Farm School Work in Aid to Schools, Hospitals and Asylums.” What follows is an account of where such programs are needed, the disconnect between city and rural settings in the start of a new century, and the benefits of teaching children about the environment, essentially. The report also contains a number of photographs (I’m partial to the before and after shots above). While I don’t know how, more than 100 years, we can necessarily judge the effectiveness of Mrs. Parsons’ program, I think it does convey a message that still has bearing: finding a connection to what we eat. We might argue Mrs. Parsons’ work is a precursor to urban gardening and local food movements today. Our campus was host to a 4-H camp last week, and that has me thinking about what we are still teaching children today, whether in school, camp, or at home. The good news is that we haven’t lost sight of work that began over a century ago.